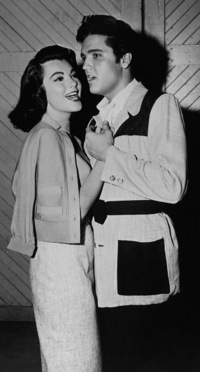 The genesis of “Jailhouse Rock” traces back to around March 1957, when Leiber and his partner Mike Stoller, arrived in New York City for a planned visit of a few weeks. Having established themselves as rhythm and blues songwriters in Los Angeles, the pair came east to check out the New York scene. 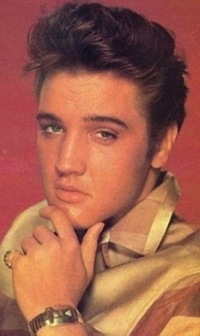 While there they had agreed to write four songs for possible use in Elvis Presley’s upcoming film, tentatively titled The Hard Way. 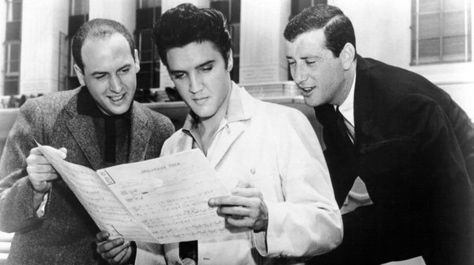 Since Leiber and Stoller had written a couple of songs used in Presley’s previous film, Loving You, Hill and Range music publisher Jean Aberbach included them in a group of writers he had chosen to submit new songs for use in Elvis’s next movie. 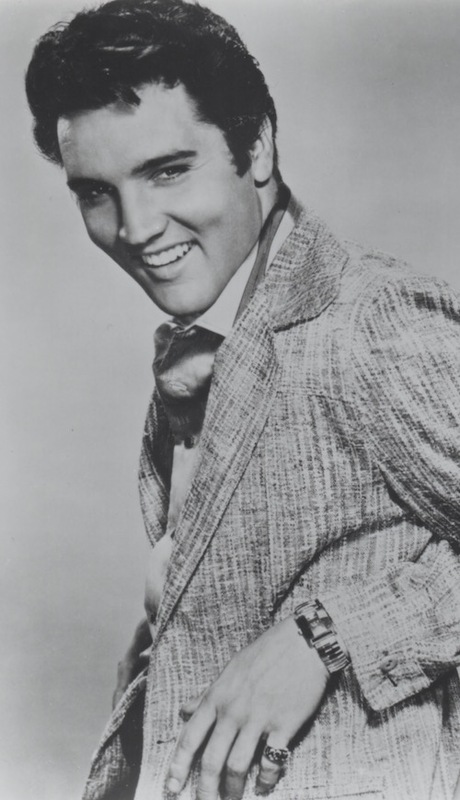 Although he had already recorded “Jailhouse Rock” and RCA had decided it would be his next single, it had not yet been released when Elvis went on his late summer tour of the Pacific Northwest. So he did not perform the song in his stage shows then. Meanwhile, to capitalize on the anticipated success of the record, MGM had decided to rename Elvis’s new movie Jailhouse Rock. 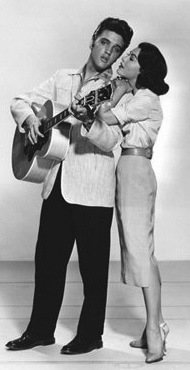 The single record’s release was set for September 24, 1957, to coincide with the nation-wide opening of the film. The first on-stage performances of the song then came in Elvis’s Bay Area and Los Angeles shows in late September. 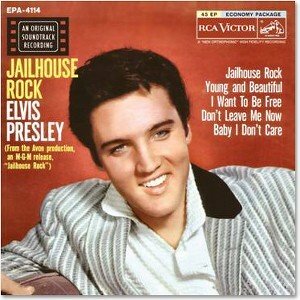 On Billboard’s Top 100 pop chart, “Jailhouse Rock” took a rocket ride to the top. It entered the chart at #15 on October 15, and a week later leaped up to #3. The next week it went to #2, and on November 11, on only its fourth week on the chart, it push the Everly Brothers’s “Wake Up Little Susie” aside and took over the top spot. It stayed at #1 for six weeks, before giving way to “You Send Me” by Sam Cooke on the December 16 chart. Still “Jailhouse Rock” remained in the top 10 for another six weeks. It slowly dropped down the chart, making its final appearance on the list on April 14, 1958. Its final numbers on the Top 100 came to 27 total weeks on the chart, including 14 weeks in the top 10, 10 weeks in the top 5, and 6 weeks at #1. “Treat Me Nice” on the flip side also charted. It spent 10 weeks on the Top 100, peaking at #27 on November 4, 1957. 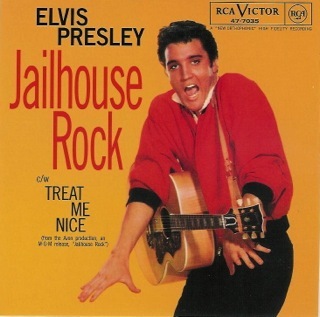 “Jailhouse Rock” also dominated “The Cashbox Best Selling Singles” chart in the fall and winter of 1957. It remained on that list for 20 weeks, including 14 weeks in the top 10, 11 weeks in the top 5, and 3 weeks at #1. 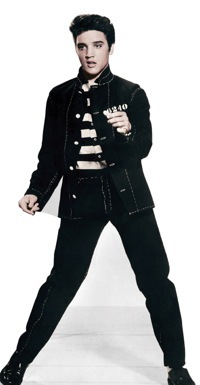 Overall, “Jailhouse Rock” was the fifth biggest chart single record in Elvis’s career. Only “Don’t Be Cruel,” “All Shook Up,” “Heartbreak Hotel,” and “Hound Dog” did better. Elvis then put his own stamp on the song. 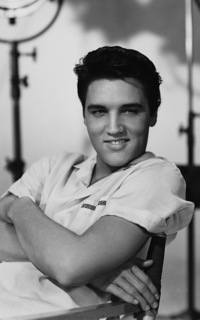 “That song was a vehicle that Presley could really work,” Mike Stoller noted many years later. “Jailhouse Rock” remains an iconic recording in the history of rock ’n’ roll music. When Rolling Stone magazine compiled its “500 Greatest Songs of All Time,” it placed “Jailhouse Rock” at #67, and on the Rock and Roll Hall of Fame’s “500 Songs That Shaped Rock and Roll,” it’s listed at #204. "The studio was like his living room. 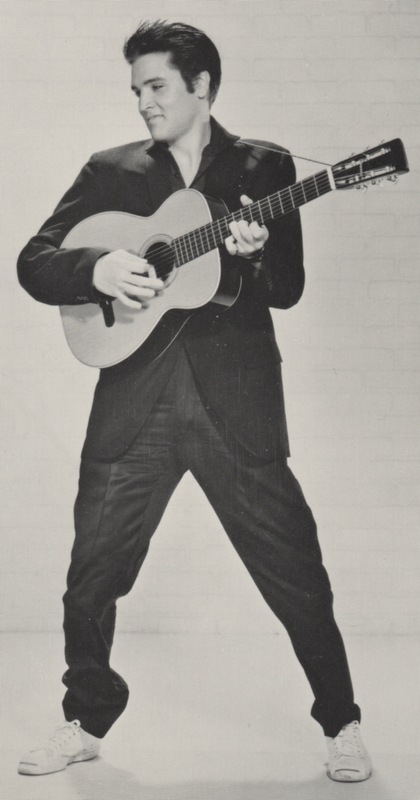 We'd show Elvis the way we thought the songs should go … While we were working on the Jailhouse Rock recording sessions, we realized he was a very special talent."